Welcome to these inspiring quotes about courage. Courage affirmation: I release the familiar that I may better discover my inspiring future. A hero is someone who has given his life to something bigger than himself or something other than himself. The opportunity for greater courage comes in the most ordinary of moments. Today is your day to paint life in bold colors, set today's rhythm with your heart-drum, walk today's march with courage, create today as your celebration of life. 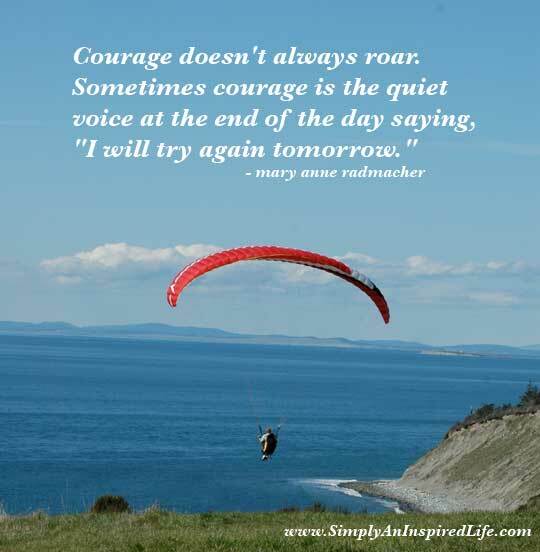 Thank you for visiting these Courage Quotes and Sayings. See more Quotes about Courage.